When: Saturday,May 2nd, Kick-Off 3:00pm. 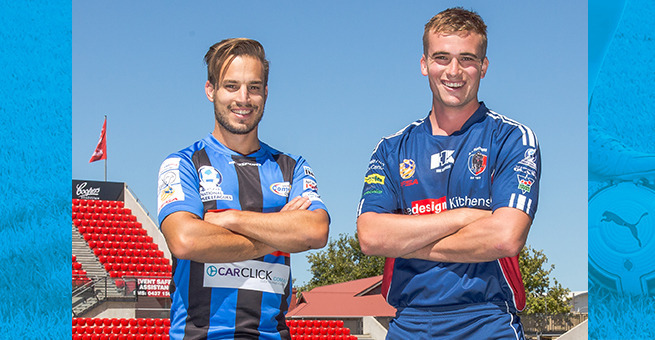 Adelaide Comets hope to go out of sight as they welcome a South Adelaide side ready to pounce on a delicious three points on Saturday in Round 12 of the PlayStation 4 National Premier League South Australia. Panther’s skipper Chris Reed believes the team is set for extra fortune following a trio of draws in recent weeks. The confidence also respires at the Comets, with the side picking up 6 points from their last three outings in the league. Comets captain Stephen Warner delivered a short and simple response when asked about how his team is feeling coming into this weekend’s game. He continued to praise the grind his lads are putting on the training ground to current success. South Adelaide’s defence have been stubborn as of late, posing a major threat to the opposition’s chances of achieving a victory. Warner explains what sort of performance is need when the two teams collide. Reed calls for a consistency in performance if they are to out fox Comets and hinted at the possible game plan. “We’ll be catching them on the counter-attack. Santos is an unfamiliar surface for most of our players so the home ground advantage is going to be a strength of theirs. Warner is certain a good defensive showing could lead to better things as they continue to peruse a top six position on the table. The Panthers will be hunting their prey as they enter the dual with strong mental belief and the ease of having the away side title.